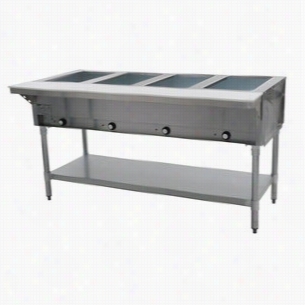 The Eagle DHT4-120 Electric Hot Food Table keeps delicious hot foods warm and ready to serve in your restaurant. This hot food table is equipped with 4 dry wells capable of holding full size food pans, so you can provide a variety of tasty foods to your customers. Each food well compartment is 8â€� deep, and is insulated on all four sides and bottom with fiberglass to keep warm savory foods as they should be. Individual infinite controls allow you to select the best temperature setting for foods, and the indicator light will remain â€œONâ€� while in use so you know your food is still being kept at the temperature.The Eagle DHT4-120 is manufactured with a stainless steel top and body for strength and durability, and the adjustable galvanized undershelf provides room for you to store items so they are ready to use when you need them. This hot food table is equipped with an 8â€�wide poly cutting board measuring 1â€� thick, and is mounted on stainless steel brackets. The cutting board is conveniently located on the â€œcontrol Sideâ€� of the unit functioning as a preparation area. The Eagle DHT4-120 Hot Food Table comes with galvanized tubular legs measuring 1-5/8â€� in diameter, and is wired for a 120/60/1 electrical connection with a 6â€™ cord and plug set (NEMA 5-30P). This model is listed NSF and UL. The DHT4-120 has a limited 1-Year Warranty.Food pans not included.Please download the Specification Sheet for more information. 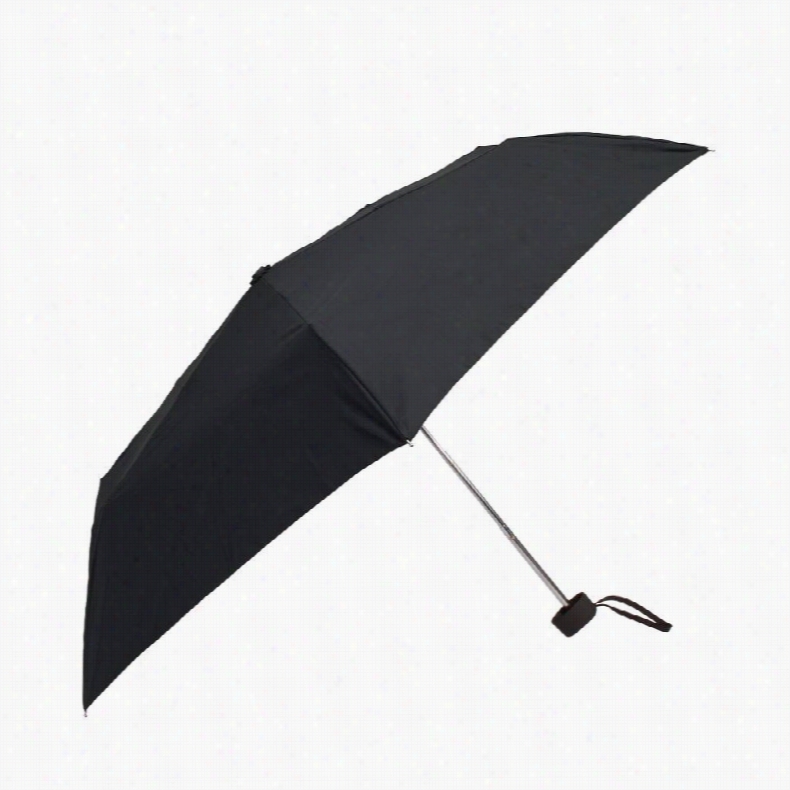 Eagle Creek Rain Away Travel Umbrella. Eagle Free Standing Dish Sink 414-16-3-18. The Eagle 414-16-3-18, three compartment sink is excellent for all your washing and rinsing needs. 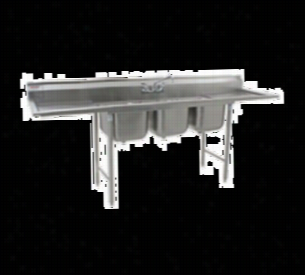 The three sink bowls are a heavy gauge type 304 stainless steel and have all corners coved. This sink offers 18" drainboards on the left and ride side for additional work space and the back splash helps contain water splashes. The euro-style edging is a heavy duty gauge type 430 stainless steel. The legs keep the sink sturdy while working with the adjustable bullet feet and cross-bracing is 1" diameter heavy-gauge galvanized tubing.The sink bowls are rectangular in shape for maximum capacity and offer a deep-drawn one piece seamless construction, using the state of the art hydraulic presses. The drainboards are creased just perfectly to assist for a positive drainage.Faucets are not included but can be purchased separately.Please refer to the specification sheet for additional information. 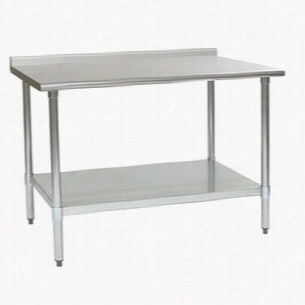 The Eagle Group UT3072B is a versatile work Table that can be used as a prep station or storage area in a variety of businesses, from restaurants and bars, to schools and offices. This 72â€� Budget Series model is furnished with a durable heavy gauge 430 stainless steel top that is reinforced with welded hat channels and sound deadened between the top and channels, reducing noise while in use. The top of the Eagle Budget Series Work Table comes standard with a 1-1/2â€� rear upturn, and with a rolled front edge and turndown sides for flush installation if needed.The UT3072B Eagle Work Table is constructed with a Uni-LokÂ® gusset system that aids in reducing lateral movement, and is also furnished with an adjustable heavy gauge galvanized undershelf providing storage room for different products. The legs supplied on this Eagle Group Work Table are galvanized measuring 1-5/8â€� in diameter, and are equipped with 1Ë� hi-impact plastic bullet feet.This model has a 1- Year parts warranty, and is listed NSF.Please download the Specification Sheet for more information. Eagle Underbar Ice Bin DIC1420-2. This Eagle, DIC1420-2 drop-in ice chest is perfect for keeping drinks cold! This cooler has a heavy gauge type 304 stainless steel construction for strength and corrosion resistance. The ice chest is 10 1/2" deep with foamed in place insulation with a non-metallic breaker strip to prevent heat transfer and stainless steel sliding cover for easy access. 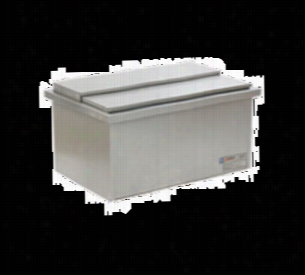 The polymer mounting base components and hardware are provided.This DIC1420-2 comes with a circuit cold plate for this ice chest.This DIC1420-2 has an ice cube capacity of 72 pounds and a ice flake capacity of 98 pounds.Please refer to the specification sheet for additional information. 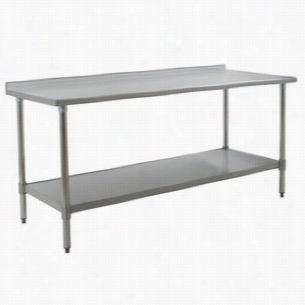 The Eagle Group UT2448B is a versatile work table that can be used as a prep station or storage area in a variety of businesses, from restaurants and bars, to schools and offices. This 48â€� Budget Series model is furnished with a durable heavy gauge 430 stainless steel top that is reinforced with welded hat channels and sound deadened between the top and channels, reducing noise while in use. The top of the Eagle Budget Series Work Table comes standard with a 1-1/2â€� rear upturn, and with a rolled front edge and turndown sides for flush installation if needed.The UT2448B Eagle Work Table is constructed with a Uni-LokÂ® gusset system that aids in reducing lateral movement, and is also furnished with an adjustable heavy gauge galvanized undershelf providing storage room for different Products. The legs supplied on this Eagle Group Work Table are galvanized measuring 1-5/8â€� in diameter, and are equipped with 1Ë� hi-impact plastic bullet feet.This model has a 1- Year parts warranty, and is listed NSF.Please download the Specification Sheet for more information. The Eagle 2200 Series B6C-22 Underbar Three Compartment Sink Unit is perfect for washing and drying barware in your busy restaurant, cafÃ© or bar. This unit comes with 3 compartments, each bowl measuring 10â€� x 14â€� x 10â€� to wash and rinse glasses and mugs, and 2 drainboards, both measuring 18-1/2â€�. 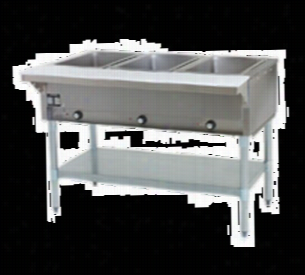 These drainboards are conveniently located on the both sides of the underbar sink, one on the left and one on the right, to store wet glassware until dry.The top, front and ends are constructed of heavy gauge stainless steel for strength, durability and easy cleaning, and the back panel is constructed of galvanized steel. 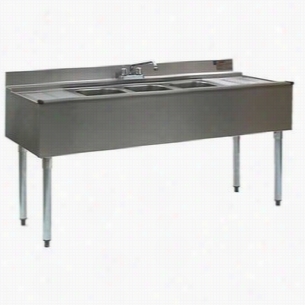 This 72â€� wide Underbar Sink is equipped with a splash-mounted 4â€� center Faucet with 10â€�spout, a 4-1/2â€� backsplash with rear deck, and galvanized steel legs with adjustable bullet feet.This model has a 1- Year parts warranty, and is listed NSF.Please download the Specification Sheet for more information. This Eagle Hot Food Table, DHT3-120 is a 120 voltage electric table to keep food heated, prepared and ready to serve. This hot food table comes with an 8" poly cutting board that is mounted on stainless steel brackets located on the control side of the unit. The DHT3 offers three pan openings and each heat compartment is 8" deep and lined with 22 gauge galvanized steel. Each compartment is insulated on all four sides and bottom. This particular hot food table is 48" L with (3) 12â€³ Ã— 20â€³ (dry) wells with infinite control and has a galvanized under-shelf & tubular legs with adjustable feet.The Eagle hot food table is a 1500w unit with 12.5 amps, NEMA 5-15P, NSF, UL listed , 120/1 â€“ Pans sold separately.Please refer to the specification sheet for additional information. 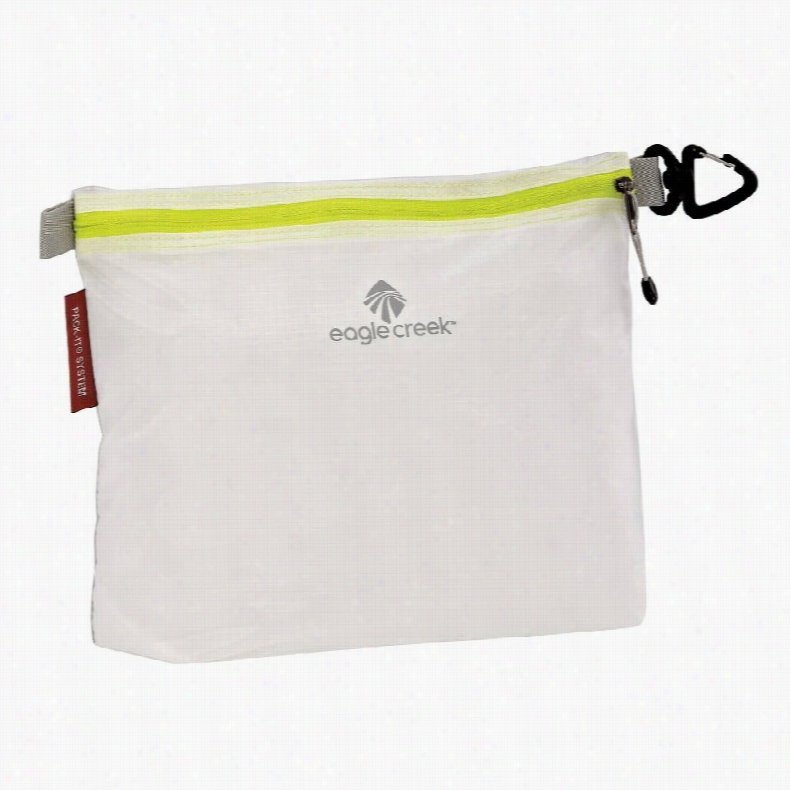 Eagle Creek Pack-It Specter Sac. This Eagle F1916 floor mounted mop sink is a superior floor sink designed for institutional use as well as those installations which require quality and durability. 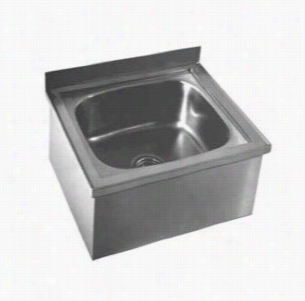 The sink bowl is a heavy duty stainless steel with a one piece seamless construction. The drain is 2" nickel plated cast bronze body, with removable snap on stainless steel flat strainer plate. The entire top assembly is fused, welded to provide a one-piece seamless floor sink. The welded areas are high speed belt blended to match adjacent surfaces with continuity of Satin finish. Wall mount faucets are available as an option. A water supply is 1/2" IPS for hot and cold lines.Please refer to the specification sheet for additional information.